This is our "News Archive"
We have created a new page to showcase some of the wonderful drawings which are coming to light during a project to conserve a terribly time-worn Engineer's Department Ledger. The painstaking task of carefully separating the pages and transferring them into archival sleeves is ongoing. Meanwhile this sample of drawings it contains should delight all with an interest in Midland Railway history. In 2018 major building works, taking approximately 18 months, will begin at Derby's Silk Mill. This will be a complete refurbishment of the fabric of the World Heritage Site, repairing many years of enforced neglect, removing asbestos, installing new floors & environmental controls and generally making the building fit to house a 21st century museum. Before this work begins the building has to be emptied. Completely. Everything from the model railway, the huge Buckton crane, the RB211 jet engine and the entirety of Derby Museum's extensive collections. And us. All will be temporarily rehoused. While we are in our temporary home we will have access to all our documents and so will be able to offer a service of some form. The exact details of this are still being worked out. However, during the period of “the Decant” from the Silk Mill, everything will be in packing cases and completely inaccessible. The implication of this is such that from late September 2017, for up to six months, the Midland Railway Study Centre will be completely closed — both to visitors and, for all practical purposes, to on-line enquiries. In the latter case we will continue to do what we can, utilising resources which are already digitised, but this will be only a small amount of what is normally available to us. If you are considering any Midland Railway related research in the coming months or into 2018, now is the time to do it! To facilitate this we are making study appointments available every Wednesday up to the point we have to close. The exact closure date is still uncertain, but is likely to be late September. As usual we have to insist on prior appointments for visiting to ensure we have volunteers available to help you — please don't just turn up. Contact details are at the bottom of each page on this site. The logistics of the Decant will undoubtedly be very labour intensive. If you fancy helping out, either in the short term for us in the Midland Railway Study Centre or, even better, throughout the process of emptying the whole of the building, please get in touch. You will be made very, very welcome! Glynn Waite has very kindly shared a paper he has written which guides researchers around the many & varied potential pitfalls which exist within the National Archives’ “RAIL491” series of Midland Railway staff records. Drawing on his vast experience, Glynn provides illustrated examples which explain the often mysterious shorthand that the Company’s clerks used, and lead the reader through the records. With particular emphasis on the Coaching Department, he gives a comprehensive overview of the scope of the records, and just as importantly, highlights the gaps which exist. This is sure to be an extremely useful resource for family historians searching for details of their ancestor’s career on the Midland Railway. 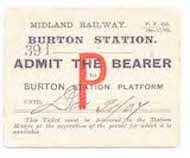 As a project resulting from our Partners in Excellence collaboration with the National Railway Museum we are delighted to announce the availability of a Finding Aid for Midland Railway Timetables. This document details all known examples of Public and Working Timetables held by ourselves, the NRM and the National Archives at Kew. Thanks to the work of David Geldard in particular, we hope this will be a really useful guide for researchers. We are delighted to announce the realisation of a long-held desire to make the catalogue for the Estate Agent plan collection available. 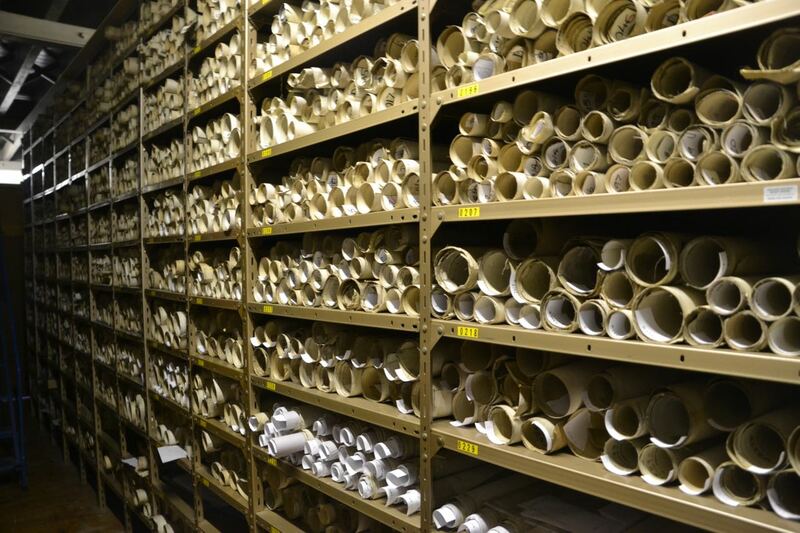 The finding-aid for this very important collection of mainly rolled plans is a notable omission from our on-line catalogue due to it being paper based. Using the sequence of the Midland Railway Chronology by John Gough and his team for its structure, each sheet describes the nature and scope of a particular plan. Despite its necessarily low-tech nature, it is a system which works well, though its major shortcoming is that — until now — it has required being present in the Study Centre to use it. Now, however, the index sheets have been scanned as a series of PDFs with each file representing a section of main line or branch. Our Carriage & Wagon collection comprises many hundreds of drawings created by the Midland Railway's draughtsmen at the Company's Litchurch Lane works here in Derby. These drawings are invariably works of art in their own right and are not only of complete vehicles but many components too. When BREL took over the Works in the 1970s they inherited what appeared to be a drawing of every type of vehicle produced at the Works since it opened in 1875. Luckily for us, they had the foresight to contact Derby Museum when they wanted to create some space, rather than have a bonfire! Since then this collection has been carefully sorted and catalogued. However, modellers and others who wanted to utilise this invaluable resource have been poorly served in that getting a quality copy of one of these drawings has always been a technological challenge. One of the many benefits being realised from the Midland Railway Society's investment in a wide format scanner last year is the ability to make elements of our collections much more widely available. Given that providing resources for model makers has always been an important part of our activities, we are delighted to make a new area of this web site available especially for modellers. We have scanned a series of what we consider to be some of the more popular drawings from our Carriage & Wagon collection available for download. Whilst this is primarily aimed at modellers, we are sure many other will find the drawings interesting. 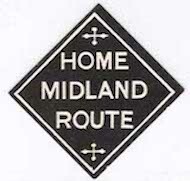 The only restriction on downloading them is no commercial reproduction and kindly attribute the source to the Midland Railway Study Centre. A new Reference Paper (Item No. 30140), written by Garth Ponsonby, has been added to the Study Centre's collection and a copy can be downloaded as a 2.9Mb PDF. 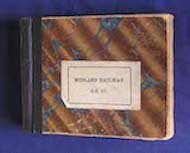 Having its origin in his Presidential Address delivered to the Midland Railway Society’s AGM in 2010, this 34 page illustrated text details how the Midland Railway planned and organised its train service. The text covers how instructions were issued and controlled, and how those aspects changed over the life of the company. It contains an in-depth exploration of how working timetables were arranged and, indeed, created before moving on to discussing Appendices to the working timetable and the scope and administration of the various Notices to staff. The paper concludes with a brief look at the purpose and implementation of the Control Offices. Following the successful bid for funding from the National Lottery Heritage Fund in 2015, work in planning the “Derby Silk Mill Museum of Making” is getting into full swing. Bauman Lyons Architects of Leeds have been appointed to develop the design for the building and see the project through. Meanwhile, specialists in developing inspirational visitor environments, Leach Studio of Huddersfield, have been appointed to help “develop the look and feel of the exhibition and learning spaces”. One of the most significant steps toward that objective is extensive work required on the fabric of the building itself. Having watched the building almost completely burn to the ground in 1910, our Edwardian forebears were determined to ensure that it wouldn't happen again. So, as it was rebuilt, they used a lot of asbestos to make it fireproof. That has all got to come out, and only then can the work of carrying out vital repairs to the structure itself be completed. Throughout all that the building has to be completely empty, meaning that 55,000 objects and documents from our part of the building alone will need “decanting” to temporary storage for the duration. At this point we are expecting this task to begin in earnest in September 2017, though as will be imagined, preparations are already underway. Whilst it is inevitable that all our collection will be inaccessible during the decant, probably for the rest of 2017, we are optimistic that we will be able to make most of our documents available to researchers while in temporary storage. Even so, if you have a Midland Railway related research project “bubbling under” now, and into early 2017, is really the time to get stuck into it if you're going to want the help of our collections. The logistics of the Decant are now being planned. One thing we are sure we will never have enough of is volunteers to get stuck in to the packing, lifting and shifting. If you're local to Derby, are in reasonably fit condition and want a worthwhile outlet for all those spare hours you have each week, we would be delighted to hear from you! As for our place in the revamped Silk Mill ... The Derby Silk Mill Museum of Making ... the exact details have yet to be worked out, though we are certainly going to be in a different part of the building when we return in late 2019. Following the approval of the Midland Railway Society membership and the Charity Commission, the two registered charities have become a single entity operating under the name and charitable registration of the Midland Railway Society. A new constitution for the Midland Railway Society has taken effect and the governance of the Midland Railway Study Centre becomes the responsibility of a new Collection Committee. An extremely helpful benefit of the merger has been the agreement of Derby Museums to provide a representative to sit on the MRS Collection Committee, thereby cementing the link that the Midland Railway Study Centre depends on. As part of our ongoing project to transcribe handwritten documents into a searchable format, and thanks to the work of Peter Berry, we have added a short document which details the people who lived in the Settle area of Yorkshire to whom the Midland Railway had sold the rights to harvest grass on the railway embankments in 1903. A small but fascinating insight to an activity incidental to the Company's activities of running trains. Although the Midland Railway Study Centre has no direct connection with the model railway with which we share the first floor of the Silk Mill, we are often asked about it. Work on the model is continuing slowly but very surely by a small band of volunteers. To help highlight their work and showcase the model railway we are delighted to provide a small corner of this web site dedicated to the “Kirtley” model railway. A recent addition to the Midland Railway Study Centre collection is a batch of 136 staff record sheets relating to Derby's "No.4 Shed" that span much of the mid-20th Century — including many former Midland men. These have now been transcribed and added to our Staff Records Database. While all the records are fascinating, some contain particularly notable details and interesting stories. The "Ben Taylor Tales" provide a tantalising glimpse into the life & times of Derby Four Shed as the Midland Railway gave way to the LMS and early British Railways period. On 20th May, Derby Museums announced that their bid for funding from the National Lottery Heritage Fund had been successful. This prompted significant publicity, both for Derby and a similar successful bid by the Great Central Railway for a museum project in conjunction with the NRM. Inevitably the question has been asked how Derby Museums’ success will affect the Midland Railway Study Centre: The answer is that it is of course incredibly good news. The bid that Derby Museums made to the HLF is in support of a plan to relaunch the Silk Mill as The Museum of Making. In this sense, by "making" they mean both "manufacturing" (past, present and future) as well as how Derby was "made". By that definition, railways in general, and the Midland Railway specifically, are central to the story they want to tell. The cost of the project, including the building works badly needed to get the Silk Mill back in good shape, the cost of moving everything out while the building work is being done, and then setting up the new Museum of Making, is estimated as £16.4M. The HLF earmarked grant is £9.4M. Derby City Council have earmarked £4M and the rest is to be raised from various smaller grants and donations. The Museum has been given £817,300 up-front to fund the detailed development of the plans. They then need to go back to HLF for approval of those plans for the full £9.4M to be released for the redevelopment to commence. The original plan was for everything to be done and the Silk Mill fully reopened by 2020. However, June 2019 sees the centenary of Alcock & Brown’s historic first trans-Atlantic flight -- an event of global significance. As one of the Derby-made Rolls Royce Eagle engines from that flight is held in the Museum they want to celebrate the centenary, and that will now shape the timetable for reopening. Although only a very broad concept at this stage, the Museum of Making has been described to us along these lines: The ground floor will, as now, be an exhibition and meeting space, with workshops and cafe. The location of the Midland Railway Study Centre in the revamped building isn't decided yet but it is likely it will remain on the first floor. The model railway, also on the first floor, has a much more certain future now -- what better medium can there be to convey the idea of "making"? The top floor, we are told, will be an "open store". The Museum have set an ambitious target of having all of their collections immediately available to visitors, either on show or digitally. This will also provide an opportunity to display the RFBMCT/MRS collections in a way that has hitherto eluded us. Think of it as something like the Warehouse at the NRM - but given the amount of Midland Railway material it will contain (and with respect to our "Partner in Excellence") we beleive it will be much better! The downside to all this is that it is inevitable that the Study Centre and its contents will be completely inaccessible for an extended period while building work is carried out. Though far from set-in-stone, this is likely to take place in 2018-2019. Obviously much more public consultation and the detailed planing for the project will now get underway.